In contrary to the negative notions surrounding millennials for a very long time, most employers look forward to hiring such young blood, as they are more creative and highly-innovative. Let us first know where millennials started before learning about how they are at work. 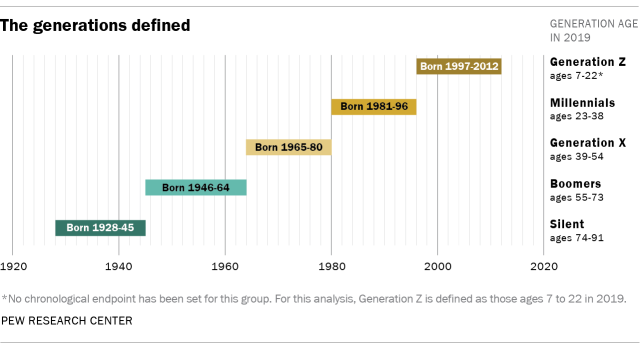 According to decade-old research from Pew Research Center, millennials are born from 1981 up to 1996. Most of them today are of legal age to work. They are expected to comprise 75% of the global workforce by 2025. Thus, making them a vital part of today’s economic status. In the next years to come, more and more millennials are predicted to redefine the working platform. Groundless rumours and sensationalised news started the negative impression about millennials at work. They are often called narcissistic and entitled individuals because they don’t fit the standards of the older generation. Often misunderstood, it has changed the way people look at this generation. Millennials were always perceived negatively because they are born in an entirely different generation. They defy the social norms and act on their own accord – but in ways, that enhances their skills and knowledge. MILLENNIALS ARE DIFFERENT – HOW? In comparison to the older generations at work, millennials seem to be entirely different. They are highly imaginative and creative. One of their best traits is creativity. They think out of the box. Thus, the possibilities for them are endless. They are absolutely part of the trend as they are more exposed on the internet. Compared to older generations which are less informed about the latest digital advancements, millennials are tech-savvy. They mostly understand the technical terms and even practice the lingos. Known as the most independent generation, they possess an advanced amount of motivation to succeed. They crave learning, advancement and achievement. Thus, making them a future team player. Although often mistaken as being impatient, this generation is extremely tenacious as they grew up with information right at their fingertips. With easier means of learning, the product of this generation is flexible individuals who’re comfortable with multi-tasking. There are other numerous traits that make this generation entirely different from the older ones. Now, maybe it’s time to stop comparing and sifting through generations. That way, employees could focus more on performing better for the team and themselves. In addition, millennials in a different light are a good addition to every team. They came with a youthful passion and focus that could even beat deadlines. We highly value a top-notch talent here at DBOS. Moreover, we give them the freedom to come up with ideas that would help the company and their team in the long run. Check out our selection of offshore back office services, and do not hesitate to contact DBOS for a FREE consultation today!